Are you tired of the old look of your garage door and want to try something new? Are you thinking of remodeling your garage door? Why not give your garage door a splash of color to give it a fresh look? Go for a different hue to give it an instant upgrade. Some might be asking themselves why it is even important to give color to your garage door. Well, home experts say that your garage makes up 30% of the façade of your home. So, if you want to have a good looking house or improve its value, you should try upgrading the look of your garage door by going for a different color. So, do you want a blue, white, black, red, yellow, or purple garage door? Go ahead and be bold with the colors that you choose. They say blue is the color of depth and stability. Blue is the color of clear waters and bright skies. A blue garage door gives a clean and calm vibe. Black is associated with elegance and formality. This color is classic. It will give your garage a smart look while still maintaining its conventional appeal. Red is the color of fire and blood. This fiery and intense color will surely bring a splash of energy to your garage and your home. Nothing says bold like red. Yellow is the color of the sun. It is associated with happiness and cheerfulness. This color will definitely set your garage apart from the rest of the neighborhood and at the same time give it a warm and energetic vibe. Purple exudes a sense of royalty, nobility, and luxury. Purple can also be feminine and romantic. 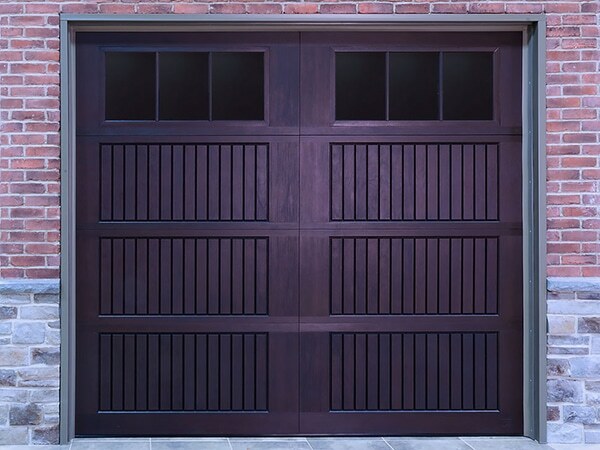 Having a purple garage door adds a soft touch to the façade of your house. A1 Garage Door Service Denver offers everything you need about your garage. We are your trusted and respected garage door service provider. If you are looking for garage doors that come in different colors, we have them for you. You can choose from our extensive collection of garage doors from different garage door makers that come in different colors. If you are not sure what color would be appropriate for your garage, call us at (720) 400 7727 so that we can send one of our professional garage door service providers to your home to check what would best suit your house. We can give you a free estimate of the cost right there and then. With the wide variety of garage door colors that we have, we can surely find one that would complement the overall design of your house. Another timeless color, white is a neutral color that would suit any style and design. It is the color of perfection, cleanliness, and goodness. Having a white garage door gives your house a fresh and clean feel.